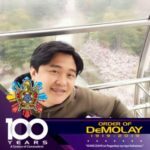 Among the special guests at the PICC during the celebration of 100th Founding Anniversary of the Order of DeMolay in the country last March 16 was PGM Gregory L. Kimberling of the International Supreme Council in Kansas, Missouri. 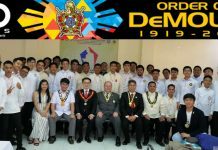 On March 17 at the Jose Abad Santos Ceremonial Hall of the Grand Lodge of the Philippines and before turning over the helm of leadership to the next Grand Master of the Supreme Council, Order of DeMolay of the Republic of the Philippines (SCODRP), the Hon. Edison Abella donned on Brother Kimberling the Frank S. Land Centennial Fellow (FSLCF) jewel. 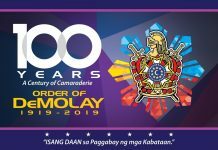 The Honorable Kimberling attended and participated in the DeMolay Centennial Week Celebration held on March 9-18, 2019 in various provincial locations in Cebu, Bohol, Bacolod, Iloilo and Davao that finally culminated with the worldwide celebration of the 100th Year Founding Anniversary of the Order on March 16, 2019 at the Philippine International Convention Center in Manila. Brother Kimberling was the Grand Master and Chairman of the Board of the International Supreme Council, DeMolay International in 2004-2005. 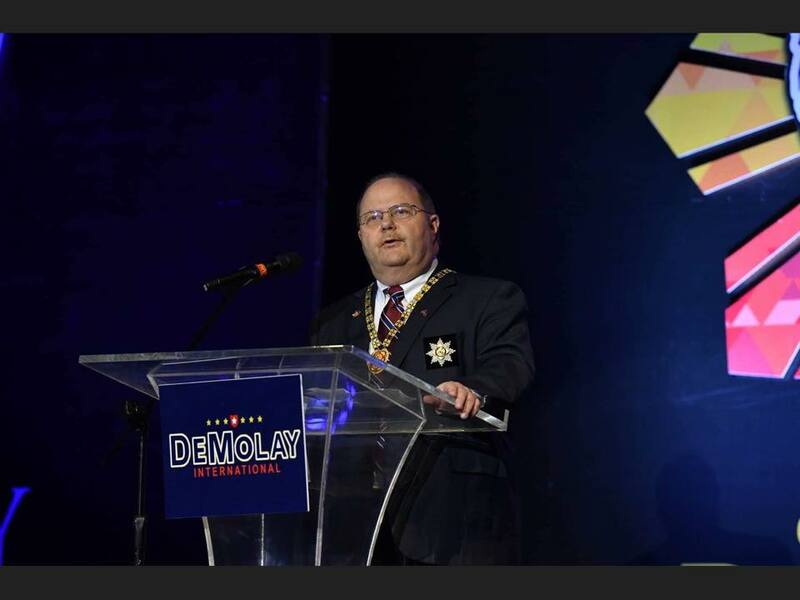 He is presently the Chairman of the International Relations Committee and Personal Representative of the Grand Master for Central and South America, DeMolay International; and a Member of the Board of Directors, DeMolay International Foundation. 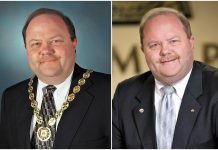 He was also the former Chairman, Nominating Committee; Former Member, Board of Directors; Former Chairman, Executive Officer’s Conference; Former Chairman, Budget and Finance Committee, all under DeMolay International; and a Former Executive Officer, Idaho DeMolay; Past State Master Councilor, Idaho DeMolay; Past Master Councilor; E-Dah-Ho Chapter of Moscow, Idaho, U.S.
PGM Kimberling is also a recipient of the following prestigious awards: DeMolay Grand Cross, Executive Officer of the Year, Supreme Council Member of the Year, Legion of Honor and Degree of Chevalier. He is a member of Paradise Masonic Lodge No. 17, F & AM (since 1977), York Rite, Scottish Rite, Shriner, Royal Order of Scotland, Red Cross of Constantine, and Eastern Star. 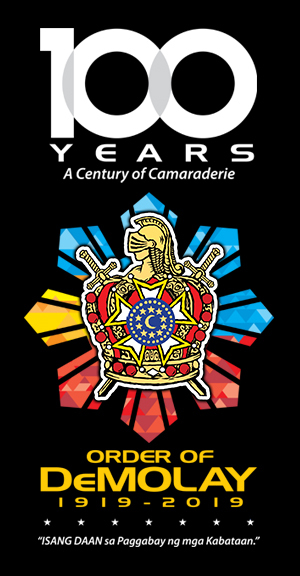 He arrived in Manila on March 8, 2019 and was warmly welcomed at the airport by then Grand Master Edison Abella and DeMolay Centennial Committee Chairman Eric Atanacio, among others. 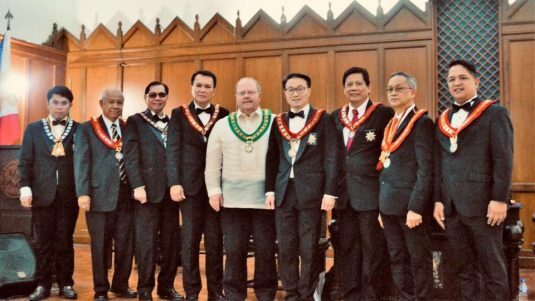 Seen in one of the pictures below, Brother Greg Kimberling is flanked from left to right by NMC Datu Pax Ali Mangudadatu, PGM Sonny Leviste, PGM Ace Tan Espejo, GM Adriano Django Durano III, IPGM Edison Abella, PGM Riezl Reyes, DGM Edward Chua and GSC Raji Orozco Mendoza.